It seemed like every tourist in the Banff area decided to visit Lake Louise today. It was busy!!! But, also beautiful. Someday, I went to spend the night at the Chateau Lake Louise. 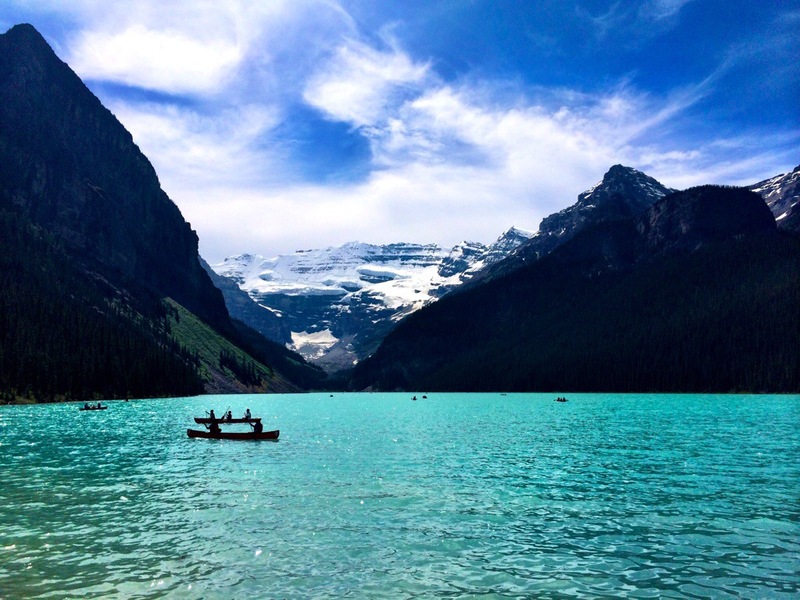 This entry was posted in Photography, Travel and tagged Banff, Chateau Lake Louise, Lake Louise, phototography, summer, tourist attracrions, travel. Bookmark the permalink. I imagine mornings must be nice and quiet if up early enough….